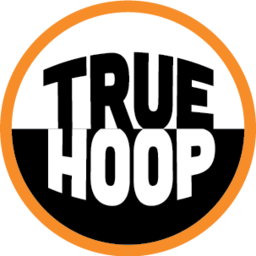 Thank you for your interest in TrueHoop! Here’s what we have been up to lately. There is a lot of upside to being born a Kushner. A downside: it can be an uphill slog to earn a reputation as self-made. For instance, Jared has recently been on the board of Thrive Capital, and The New York Times reports that in May 2018, Jared disclosed $8.2 million in income from Thrive funds while working in the White House. That same article notes that when Jared was in Saudi Arabia on behalf of the White House, Joshua had preceded him by a few days and met with many of the same people. A spokesman declined to say whether Saudis invested in any Thrive funds. Sources tell me that the way the deal went down, at some point in the last few months, the NBA had Joshua fill out a detailed set of forms, with invasive questions about references, financials, and more. He did not need the approval of other owners; ownership stakes over 10 percent have to be approved by the Board of Governors; stakes over five percent need the approval of a subcommittee. Below five percent, the league plays a lesser role, largely a background check outsourced to the law firm Proskauer Rose. Sources at the league and Grizzlies won’t share any particulars of the findings, other than delight that this transaction is super tidy. This system is no different now that Cousins is on the court, nor should it be because he fits perfectly. Kerr’s offense is all about finding the best shooter when he’s open. Cousins’ screening and passing abilities enhance that goal, as long as he’s focused on that role and not trying to be the primary scorer. It can work: In Cousins’ 26 minutes against the Pacers last night, for instance, the Warriors outscored a good team by 22 points. Cousins has always been able to do anything a center ever needed to do, plus he became a solid 3-point shooter, averaging 35 percent his last four seasons after shooting just 16 percent in his first five years in the league (making 11 total). He’s very skilled at making passes to create open shots, not just kicking the ball out when doubled. Like this simple back-door to Curry off a loose ball pickup. He sees the game. Thorpe adds that there is every reason to think Cousins is still recovering from his Achilles injury, and the he’ll only improve from here. Much more in the works for the coming week. Hope you will consider subscribing!